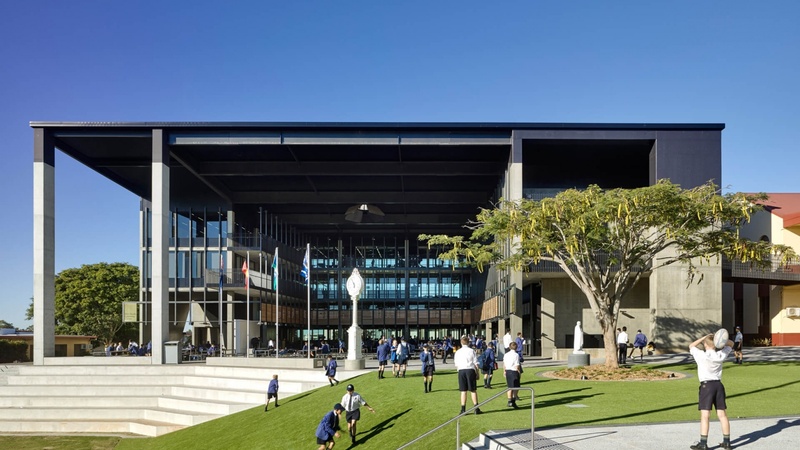 The Hanly Learning Centre is located prominently at the centre of the college — a move that raises the profile of academia in a sports-driven secondary boys’ school. 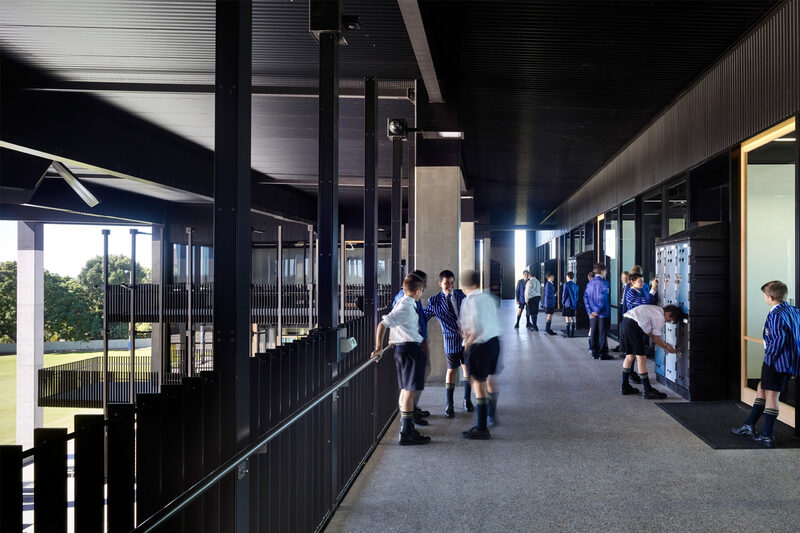 The performative nature of teaching and learning is heightened through a variety of settings and use of a theatre-like backdrop. There is a large common area for social learning, community gatherings and structured academic events. 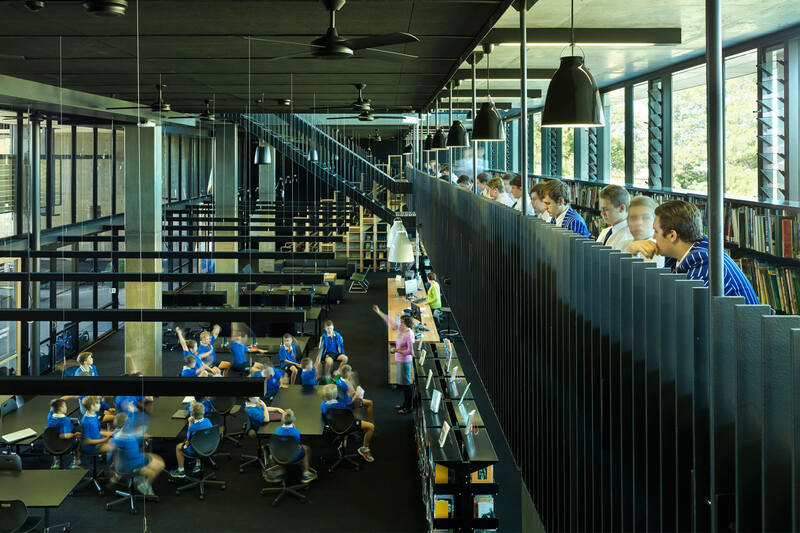 This space is flanked by the Library, which is distributed across three interconnected levels with a variety of learning settings. 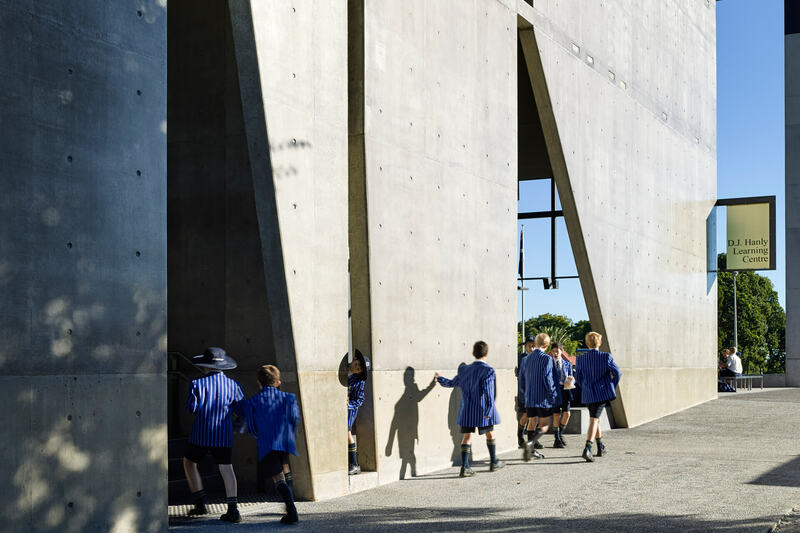 There are spaces to suit individual study, small groups and classes in a variety of modes including collaboration, contemplation, didactic teaching and incidental learning. 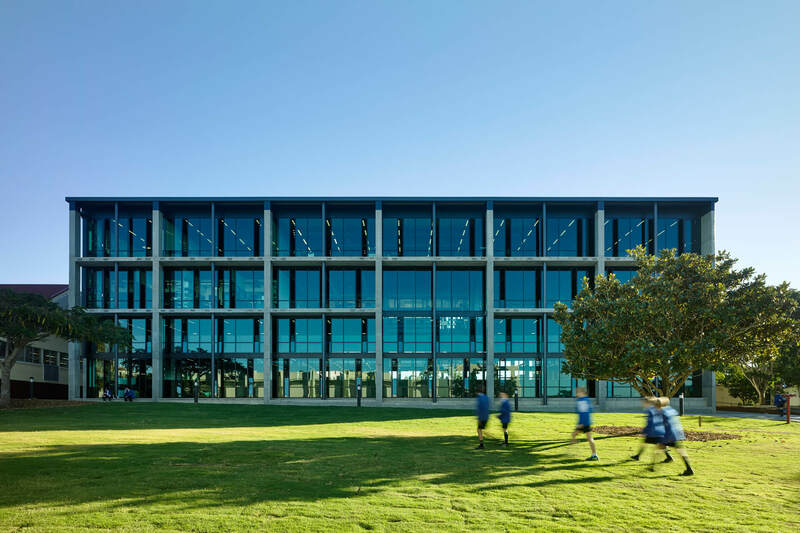 Students benefit from the co-location of complementary learning and support facilities such as the library, the Learning and Teaching department, classrooms and cafeteria. 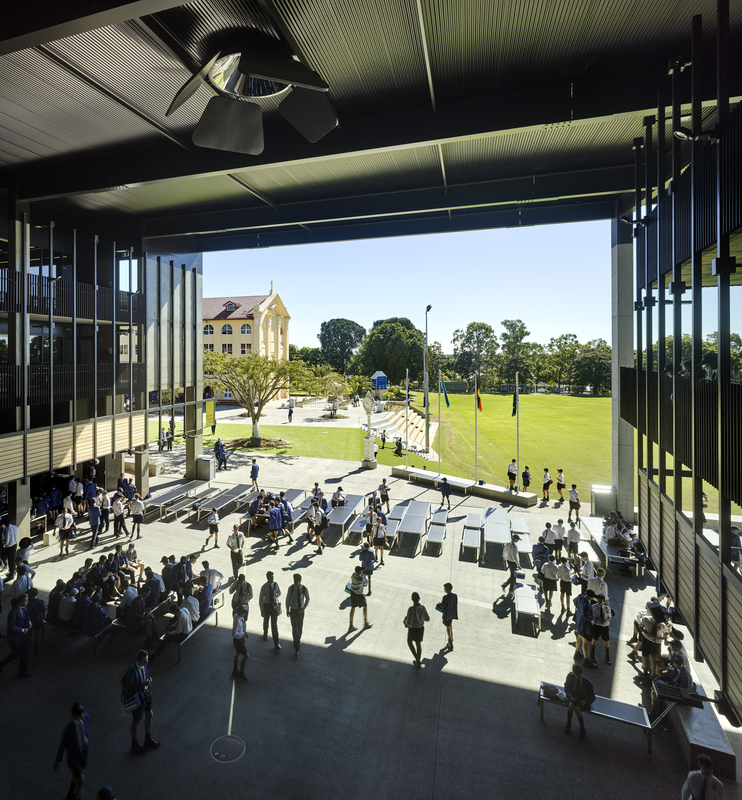 The Hanly Learning Centre facilitates academic events such as GPS chess, oratory competitions, debating, mooting, Readers Cup and Tournament of the Minds. 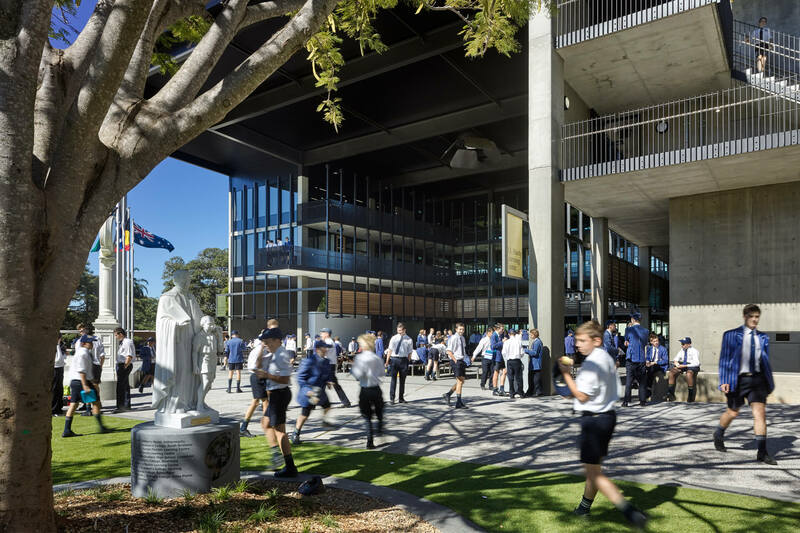 Graham Leddie, Deputy Principal, St Joseph’s Nudgee College.